JOHNman is one of the best-known living doll artists in Germany and has greatly influenced this art for many years. At numerous international engagements and festivals from Oslo to Johannisburg, from Toronto to Mumbai and Shenzhen he won several awards. The autodidact's current artist's highlights are the winnings of the world championships 2010 and 2013 (World Statues Festival for Living Statues) in Arnhem/Netherlands. He is the first and so far only artist who won the world championship twice. Take a look at the following pages and be amazed of the vast versatility of JOHNman's different characters and get inspired for your next event. 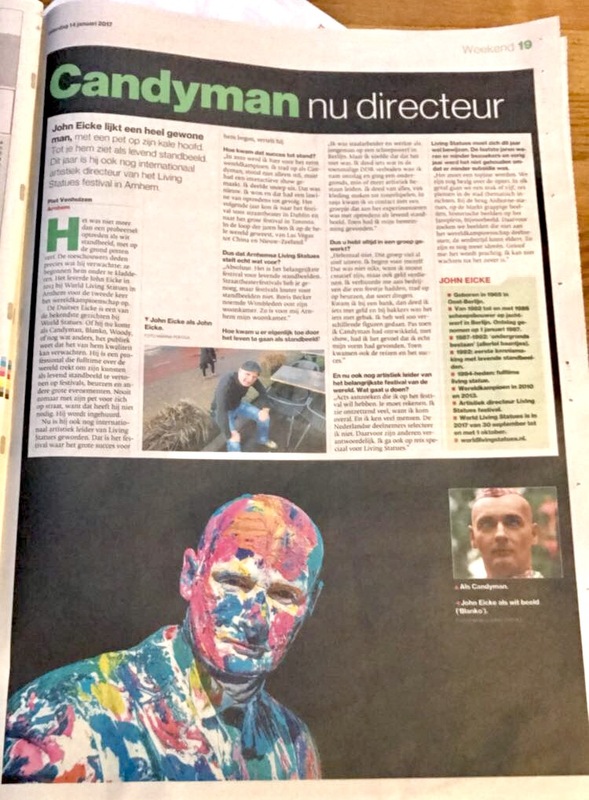 JOHNman is the international artistic director of the World Living Statues Festival in Arnhem! After having won the world championships in 2010 and 2013 he was appointed this year to the international artistic director of the Festival. 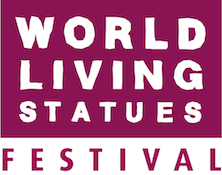 Now he is searching for new and innovative Living Statue Acts for the Festival 2017 on Sept. 30th and Oct.1st.